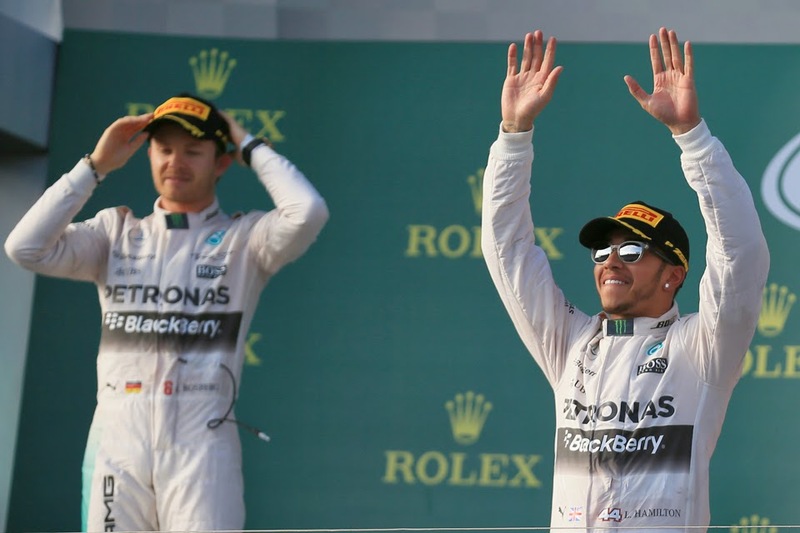 Talking about F1: The F1 blog: Nico Rosberg - failing on the rules of politics? Right, I'm going to let you all into a secret. For my sins, I actually like politics. Not merely F1 politics, though admittedly that's an admission it itself. I actually like the party politics that in the main (and with justification) inspire much derision. Yes, I'm one of them. As an auxiliary benefit it comes in handy for interpreting F1 sometimes too. There often are parallels, and it shouldn't really surprise either. The manoeuvrings; the deals; getting the right people around you; getting people onside; getting 'messages' out there - all to the detriment of opponents, are clear examples of common ground. 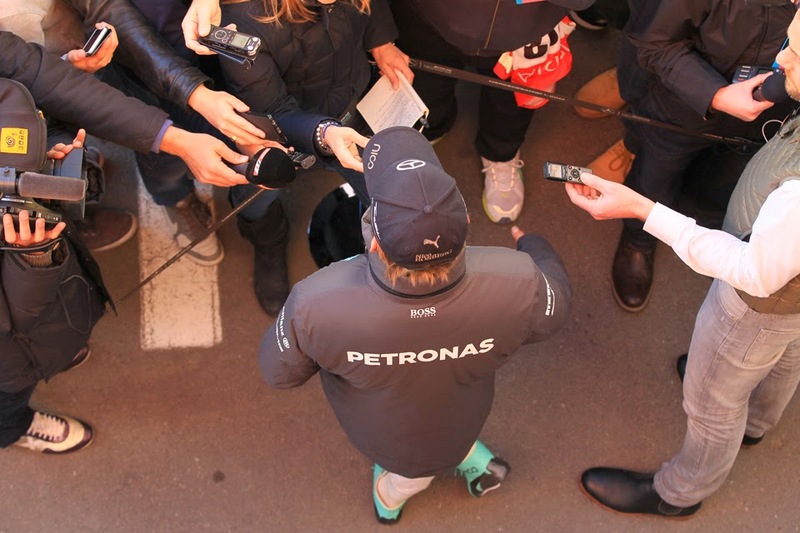 And it's come in handy once again what with Nico Rosberg and all that, following his much wrestled over comments following last Sunday's Chinese Grand Prix. They'll be familiar to you by now. As will many of the theories on what inspired it. Of course, it remains possible that it was all no more complex than simple sounding off, as Niki Lauda indeed insisted afterwards. And us sports observers don't half have a weakness for applying cod psychology regardless of its actual applicability. But still, there are reasons to suspect that it instead was part of a plan. With three defeats from three to his team mate and nominal biggest rival in 2015, and that team mate/rival looking serene, the need to change things somehow presumably are at the forefront of Nico's thoughts. Further, given who he's up against too - and without disrespect - he's unlikely to win out in a straight battle of driving talents. As David Coulthard noted at it all: "This was maybe Nico shaking the tree, wondering what he has to do to try to destabilise Hamilton and get in front of him". Martin Brundle meanwhile added that it makes sense for one in Nico's position to "create as much smell as he can". Brundle went further however and stated that it was "categoric" that Nico had been told to drop the nice guy persona as it wasn't working. The previous day Mercedes boss Toto Wolff had hinted as much too. If all of this indeed was Rosberg's aim there perhaps is something to be said for it, at least in theory. It was it seemed the F1 equivalent of negative campaigning you get in politics. A message intended to discredit its target. Its aim is to get people on his side and against his opponent. Further it could unsettle Lewis. Shift the narrative. Provide - to use a phrase that politics too has picked up - a 'game changer'. Which as outlined already he really could do with. Good in theory as I said. But the problem is that Nico did his negative campaigning in an utterly ineffective, perhaps counter-productive, way. And a good political strategist could have told him why. I'm told that Tony Blair (in case you're very uninitiated he's a former UK Prime Minister) in his memoirs devotes a lengthy section to how negative campaigning can be made to work. In the main it boils it down to two rules. First off it has to be subtle - people quickly tune out of claims that are over the top. Secondly the claims have to fit in with what people were suspecting anyway. And on both of these criteria Nico failed. His claims after the Chinese race were strident, striking as way too much, certainly when weighed against the alleged 'offence'. Moreover they emphatically did not chime with the existing suspicions of observers. They stretched credibility. I dare say that almost no one suspected Lewis of foul play in China prior to Nico raising the subject. There was virtually no conspicuous evidence of what Nico was claiming on show to us watching on. And even if what Nico alleged had actually been the case not only most surmised would Lewis have been well within his rights also plenty suggested that Nico could have resolved the matter the old-fashioned way, by qualifying ahead or even, you know, catching and passing him. Which brings us to another thing that a good political strategist could have told Nico. That people don't like sudden shifts of position or persona. They often are treated with bewilderment, or worse scepticism. They look like panic, or more damagingly like a cynical, calculated, act. That one way or another you're getting something false. And in this case it applied to Nico. The sudden shift from the nice guy of Australia - when he stepped out of the car upon defeat to state that "Lewis has done a fantastic job this weekend, he drove like a world champion" - couldn't have been more stark. Or more sudden. And all are entitled to ask which Nico is the real one. So therefore Nico's barbs rather fizzled out almost immediately with their contact with air. And come the next day - perhaps admitting defeat - Nico himself declared the row 'a thing of the past'. Perhaps it was worse than useless too, in that the rest of us will be more wary of similar tactics from him in future. And if he does return to it as a way of helping him prevail, he'll need to be a good bit more clever about it.